Marsa Alam Egypt is a tropical paradise boasting a rich blue sea with coral reef barriers, and beaches that are, well paradise. It is popular with windsurfers, scuba divers, snorkelers and sun worshipers a like. For diving enthusiasts, Marsa Alam’s diving sites are considered to be a wonderful treasure waiting to be discovered, brimming with coral reefs and an abundance of magnificently colored sea life where spinner dolphins and sea turtles swim freely. Adventure seekers have plenty of attractions to discover in the deserts near Marsa Alam. Visitors can go on quad bikes or jeep safaris off-road into the desert, and combine it with a visit to a Bedouin village, marking an unforgettable and adventurous experience. A mouthwatering barbecue dinner and a camel ride cannot be missed while visiting a Bedouin village. If you are a history buff, then this is the right city. It is believed that the Pharaohs mined brilliant green emeralds in the mountainous areas of the Eastern Desert southwest of Marsa Alam. The Cleopatra Mines or Mons Smaragdus became the most famous mining complex in the ancient world, and at various times the mines at Wadi Gemal , Wadi Nuqrus and Gebel Zabara were in use during the Ptolemaic and Roman periods. If you are interested in tracing back the Roman glory, the Roman Settlement of Myos Hormos is not far from Marsa Alam. Being a relatively remote location that enjoys a peaceful and relaxing atmosphere, Marsa Alam is considered the ideal destination for honeymooners. As the night falls, the stars light up the sky and Marsa Alam is transformed into a romantic getaway. With crystal blue waters, tranquil sandy beaches, and the mysterious touch of the desert, Marsa Alam is the ideal gateway from a mundane life and conventional vacation spots. Come visit beautiful Marsa Alam Egypt! The Weather is sunny and dry all year round. There is a lot of wind especially from November to February. Air temperature varies depending on the season. You can expect 75°F on average from October to March. Air temperature is much higher in Summer from April to September and is usually around 95°F. 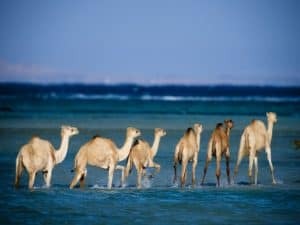 The best times to visit Marsa Alam goes from mid-March to mid-April, and from mid-October to mid-November: in these periods you can enjoy a warm or hot (but not too much) weather, and the sun shines but it’s not at the zenith. In summer the heat can be too intense, although typically the wind blows, and being the sea very warm you can escape in the water for long periods, maybe for snorkeling. But you must be prepared to periods of extreme heat, in which even lying under beach umbrella can be tiring. In winter, it can sometimes get a little cool for beach life, especially for those who are sensitive to cold, although in the central hours of the day you may well sunbathe. Your passport must be valid for at least six months from your date of entry. Israeli stamps in your passport (and Israeli passports, for that matter) present no problem, unlike in some other Middle Eastern countries. Visas are required for most nationalities. Single-entry, 30-day tourist visas cost US$25 and are available online (https://visa2egypt.gov.eg) for 41 nationalities. Otherwise, visas can be purchased at the airport on arrival. Visa extensions are possible once in-country. You can get direct international flights to Marsa Alam from Austria, Belgium, Germany, Italy, the Netherlands and the United Kingdom. 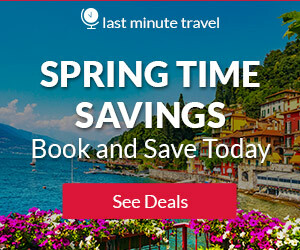 For other countries your best bet is probably to fly to Cairo and connect with an Egypt Air flight to Marsa Alam. The Upper Egypt Bus Company runs three daily, at 1.30pm, 6.30pm and 11pm, from Cairo Gateway Bus Station ( also known as El Torgoman Bus Terminal ), located on Sharia Al Gisr in Bulaq between Ramses train station and Tahrir Square. Travel time is about eleven hours and takes you along a coastal route via Hurghada, Safaga and El Quseir. Disembark early at El Quseir and take a servees(minibus) taxi if your destination is north of Marsa Alam airport. The El Gouna Bus Company also operates a service once a day from Cairo to Marsa Alam. Horseshoe-shaped Sataya, which is north of Berenice, is the main reef of the Fury Shoals, and has steep walls leading down to a sandy slope scattered with a great variety of coral heads.Get close to one of the world’s most intelligent and playful creatures. We highly recommend a day trip to the famous Sataya Reef – one of the great wonders of the natural world where a large group of spinner dolphins have made this particular reef their home. It is situated around 12 km off the Hamata shoreline and seldom visited by tourists. It’s a pristine fine as talc white sandy beach that puts the Maldives in the shade. At low tide (and the tidal range here is limited) it’s a perfect lagoon and it’s easy to wade in thanks to the gentle gradient of the sea bottom which eventually leads out to deeper waters with a maximum depth of 20 meters to the shore side of the reefs. 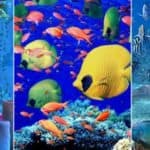 There is an impressive diversity of fish, as well as many different types of colorful coral. 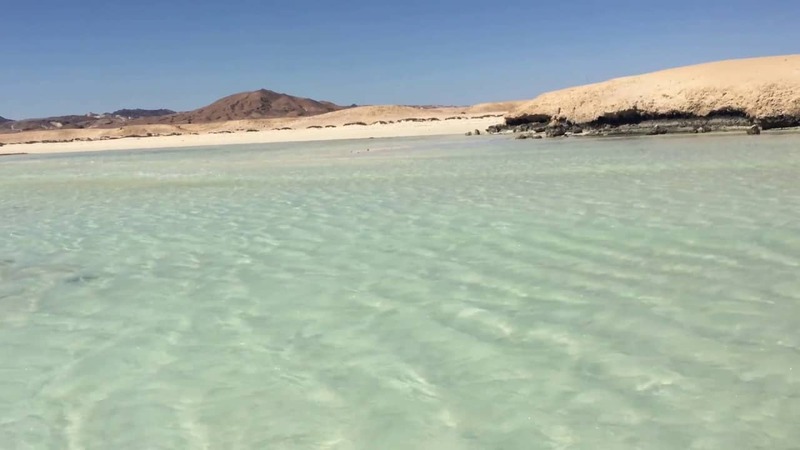 The four Hamata Islands are located off the remote and wild southern Red Sea Riviera of Egypt, about 130 km south of Marsa Alam and 45 km north of the small settlement of Berenice. The islands are fringed with some of the most beautifully colorful coral reefs you can find anywhere in the world, sandy beaches so white that the archipelago is sometimes referred to as “the Egyptian Maldives” and tranquil lagoons where you can snorkel and admire the abundant and diverse sea life. Come discover Wadi el Gemal National Park, one of Egypt’s most spectacular parks. Designated a protected area in 2003, Wadi el Gemal (Valley of the Camels in Arabic) is located in Egypt’s Red Sea region, located 40 km from Marsa Allam and 325 km from Hurghada. Covering approximately 7,000 km2 of land and sea, this astounding park offers visitors the opportunity to marvel at its coral reef fringed beaches and rugged mountains. 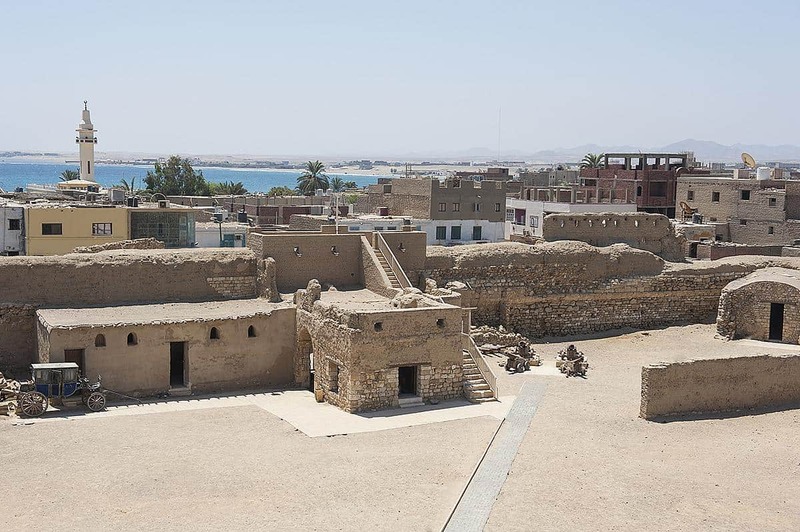 Al-Quseir, is an approximately 5000 year old Egyptian city lying along the Red Sea. Its ancient name was Leucus Limen. It is a quiet resort with sandy beaches, clear waters and coral reefs. The coast is lined with mangrove swamps and unspoiled bays and coves. Al Quseir is transformed into a luxuries tourist destination due to its sandy beaches and coral reefs which make it an idle place for diving and snorkeling. Al Quseir is and environmentally aware area to ensure that the coral reefs are preserved. The fort has a Visitors’ Center with displays of local history, archaeology, and culture. Al- Quseir is one of those actually unusual places in Egypt where one may go for some scuba diving in the Red Sea or spend a comfortable afternoon sunbathing on a pristine beach, and at the same time, visit historical sites. Abu Dabbab Bay has one of the best sandy beaches in the Marsa Alam region but is deservedly better known as being one of the few places in the world where you can sometimes dive and swim with the endangered dugong “sea cow.” Experience the marine life of the Red Sea up close snorkeling at Abu Dabab Beach. 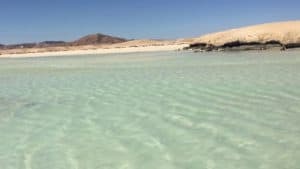 It is considered one of the prettiest bays of the Marsa Alam region where you can encounter native wildlife such as giant sea turtles and dugongs. Blue Submarine Egypt is the PADI 5* IDC scuba diving center located inside the Kahramana Beach-Calimera Habiba-Sentido Kahramana Aqua Park Resorts and in the Gemma Resort. They offer a full programe of scuba diving & snorkeling excursions at flexible times to suit your holiday. All PADI dive courses are offered and full equipment rental services are available. For more information call +20 112 682 2226, or visit them on the web at Blue Submarine Egypt. They are the number #1 leading safari company in the south of the Red Sea, and you are guaranteed the perfect desert and beach excursions! 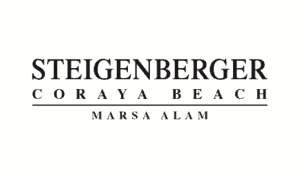 Since the year 2003 they have been the main supplier for all the major tour operators in Marsa Alam and El Quseir. Their aim is to make the perfect fun adventures with high level of safety! Experience great service for the best price! For more information call +20 100 191 9999, or visit them on the web at Amore Safari. The Seaworld Diving Center welcomes all customers with professionalism and sympathy, trying to meet the needs of the diver but also of the families. Organizes daily diving and snorkeling in the beautiful bays of Marsa Alam and every day is possible to dive from the jetty of the hotel in the beautiful house reef. 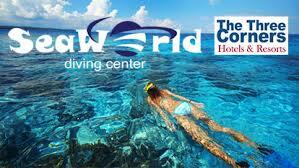 For more information call +20 122 770 8035, or visit them on the web at Seaworld Diving Center. Best Snorkeling Tour Port Ghalib. They organize a fantastic day swim with turtles, corals, and colorful fish. Relax on the deck while their cook prepares a delicious buffet. Very friendly crew will help and be with you in the water showing the best spots. They also offer Private overnight trips, so you can have your own mini cruise with friends and family. For more information call +20 100 406 6187, or visit them on the web at Chance Swiss Egy. 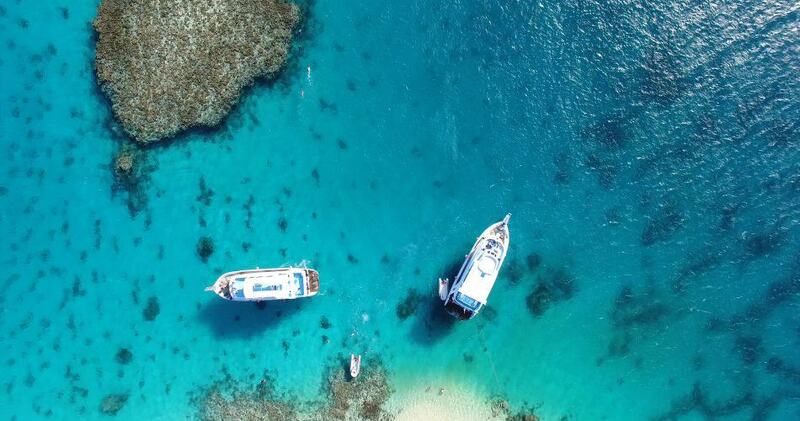 Premium boat trips and snorkeling in the Red Sea. 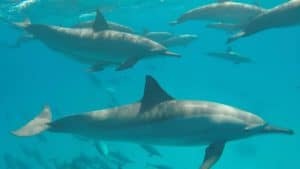 Their Port Ghalib/marsa Alam operation offers lazy start trips and also full day trips to Dolphin House (Sha’ab Samadai) where chances are great for swimming with wild dolphins! Join one of their daytime trips and enjoy some snorkeling, swimming or simply relax knowing you’re in the safest of hands. For more information call +20 115 258 6852, or visit them on the web at Oceans Red Sea Marsa Alam. The best Italian food in Marsa Alam, prepared by Mara from Rome. Pizzas are shortcrust, made using extra virgin olive oil, and range from a simple Margherita to pepperoni, mozzarella and tomato. The pastas and salads are equally good, and there are burgers and sandwiches as well. Coffee is Italian-style, as are desserts, including homemade biscuits. Beach delivery available. For more information call +39 0931 835225, or visit them on the web at Dolce e Salato. Al Sultan restaurant and lounge bar has been designed with a warm and oriental feel offering an unique panoramic view over Port Ghalib International Marina. The lounge bar offers a full range of drinks including a selection of Whisky, Brandy and Liqueurs, cocktails, soft drinks and beer and coffee. Special events and live music shows with professional musicians, dancers and singers delivers to customers an unique musical experience. 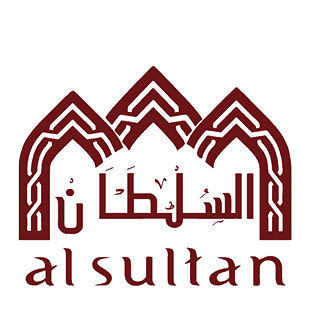 For more information call +20 101470 7776, or visit them on the web at Al Sultan Restaurant. Delight your sense with authentic Italian cuisine. 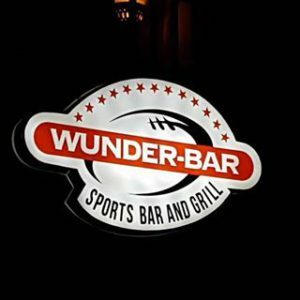 Try their amazing menu and extensive beverage list, and if you are looking for a special night out, don’t miss their parties! For more information call +20 1097 832888, or visit them on the web at Divino. Enjoy their exquisite sushi bar and cocktails with a dazzling view of the Marina! Try their specialty drinks or find a quiet corner to just chill and smoke your flavored shisha. For more information call +20 1002 209225, or visit them on the web at Bicafe. Hakuna Matata is a restaurant with an international à la carte menu. Every day they prepare fresh fish, seafood, various types of meats, salads, pastas, pizzas and much more. With a beautiful view of the marina why not start your day with breakfast at Hakuna Matata. Handmade croissants, fresh orange, mango juice, guava or coffee, delicious sandwiches will be a beautiful way to start the next day of your holiday. If you feel like lunch, they have a wide selection of soups, salads, pastas and pizzas for you. They also invite you to a unique selection of dishes for dinner: fish, seafood, lamb, steaks. For more information call +20 122 594 4903, or visit them on the web at Hakuna Matata. Chill out and try their ice-cold beers, cocktails and sangria. Taste some of our most delicious menu options, like steaks, fresh fish and tapas.Listen to the cool beats from guest D.J. and watch live sport on HDTV. For more information call +20 1024 955563, or visit them on the web at Wunder – Bar. The lounge bar offers a full range of drinks including a selection of Whisky, Brandy and Liqueurs, cocktails, soft drinks and beer and coffee. Special events and live music shows with professional musicians, dancers and singers delivers to customers an unique musical experience. For more information call +20 101470 7776, or visit them on the web at Al Sultan Lounge Bar. La Plaj and Sailor’s Beach Bars are the perfects places to enjoy a refreshing drink or cocktail in casual ambiance while enjoying the stunning view of the bay or a chat with friends. They are located in the Brayka Resort. For more information call +20 106 663 9615, or visit them on the web at Brayka Resorts. 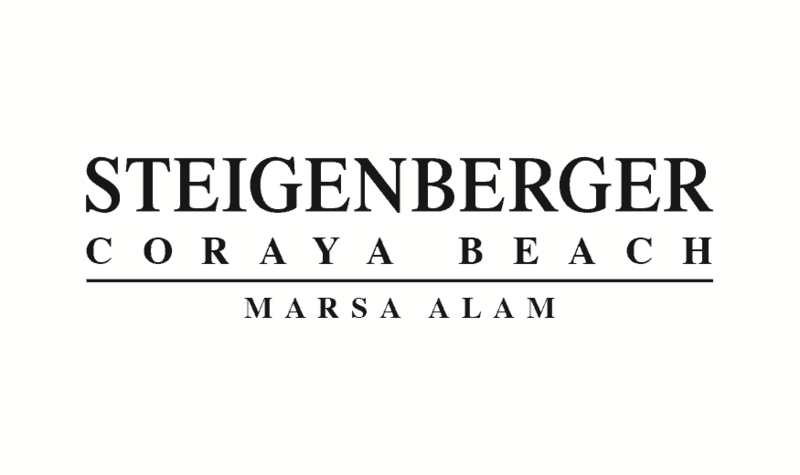 Located in the Steigenberger Coraya Beach Hotel. A pleasant billiards bar, where you can enjoy a game or two with friends over a drink. For more information call +20 65 3750000, or visit them on the web at Zuzu’s Bar. Occupying a beachfront location, Diving station – Reef Villa is located in Marsa Alam. It offers an on-site diving and water sports center and a restaurant that serves all 3 meals. Snorkeling can be arranged upon request. All the rooms at Reef Villa are simply decorated. Each one offers a sea view and a wardrobe. The bathroom is fitted with a bath or a shower. At Diving Station – Reef Villa you will find a 24-hour front desk, barbecue facilities and a terrace. Other facilities offered at the property include a shared lounge. For more information, pricing, or to reserve your room, visit Diving Station – Reef Villa. Albatros Sea World Marsa Alam is a modern Resort built on ca. 380 sq. miles with 17 pools and direct access to the 500 meter sandy beach with its marina and the Red Sea with its magnificent underwater world. Located 60 kilometers from the airport, it is offering a wide range of services and facilities for adults and children. You will find a modern and cozy resort, with a touch of local flavor where you can enjoy the sun, good food and an ambiance that combines leisure, entertainment, relaxation and culture. For more information, pricing, or to reserve your room, visit Albatros Sea World. For divers, snorkelers and beach lovers, the property lies midway from the most famous bays on the coast. Within minutes you reach Egla, Asalaya,, Samadai,and Abu Dabbab bays, where pristine crystal waters exist. Their rooms are all with sea view balconies ,A .C. & private bathrooms with hot showers. They will guide you choose the best Diving & Snorkeling options with a budget style. They can arrange your airport pick ups as well. For more information, pricing, or to reserve your room, visit Sea view Rihana Guest House. This property is a 6-minute walk from the beach. Blue Vision Diving Hotel is located in Marsa Alam city. Each room provides you with a flat screen TV, air conditioning, a wardrobe and chests of drawers, a refridgerator and a private balcony. Each room has a private bathroom featuring a bath or shower. There is a shared kitchenette and dining area which guests can use and the property serve breakfast there every morning. The swimming pool is located in the central courtyard area of the hotel. Next to the swimming pool we have an on-site Padi Diving Center for guests. Here you can learn to dive, take a specialty course and dive daily. For more information, pricing, or to reserve your room, visit Blue Vision Diving Hotel. On the West Coast of Egypt’s Red Sea with a beachfront location, this resort looks like a small village surrounding 4 outdoor pools. It features a 24-hour gym and rooms with views of the Red Sea. The wide dining choice includes a Bedouin-themed cafe with water pipes and belly dancing. The main restaurant offers oven-baked pizzas and a dessert buffet. Salads and grilled kebabs can be ordered at the poolside bar. The air-conditioned rooms of Hilton Marsa Alam Nubian Res have elegant contemporary décor, balconies and flat-screen TVs. They include wood ceiling beams and mosaic bathrooms with frameless showers. Guests of Hilton Marsa Alam can book diving excursions in Abu Dabab Bay reef. The children have a playground and a kids’ club, and a babysitting service is also provided. For more information, pricing, or to reserve your room, visit Hilton Marsa Alam Nubian Resort. Who would think that Egypt would have such great beaches. Wow, Marsa Alam rivals anything in the Caribbean. It has everything that you want in a good beach vacation. According to the pictures, the skin diving and snorkeling must be great. A camel ride anyone? Great video! Yes, a camel ride! 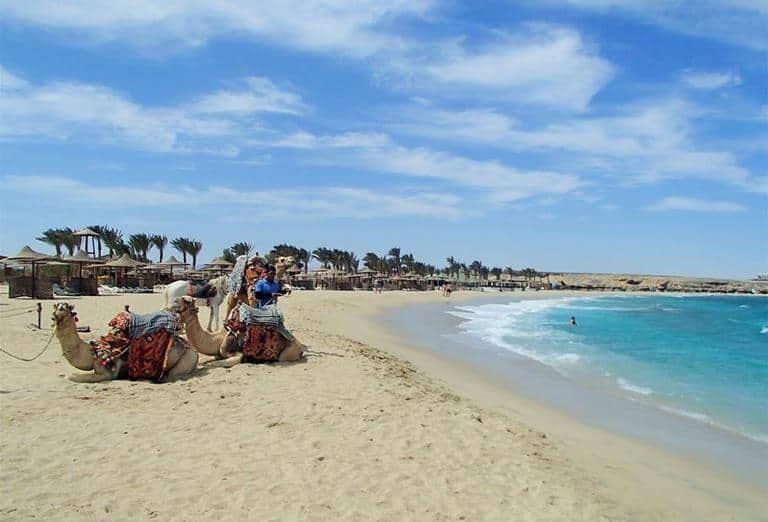 I love camels anyway, so a camel ride along a beautiful beach and in Egypt….could not get better! And yes, Marsa Alam Egypt does rival anything in the Caribbean! I never knew there was so many fun things to do in Egypt, as well as seeing beautiful beaches. I always thought of it as drab, Pyramids, windstorms, and sand that is immense and quite intense, such as is depicted in Disney’s Alladin animated film. Glad to learn about this. Would love to have a camel ride! When visiting Marsa Alam Egypt, you have to do the camel ride! That is a definite must for sure. Along with visiting Sharm El Sheik. Glad you enjoyed reading and learning more about this wonderful beach destination. Thanks for stopping by! I love Egypt, and have been twice to Sharm El Sheik but we only ventured out of that area once to go to the old market. There is just so much to do there and the scuba diving, or even just snorkeling is not to be missed; coral reefs everywhere, and you can actually swim among the colourful tropical fish. Anyway, can’t recommend Egypt enough as you get everything that you would normally get from a tropical holiday for a much cheaper price! I would have to agree with you Stefanie 100%. This is just one of those places not to be missed. Not just for the beach lover, but it has so much more to offer, that is for sure. Thanks for stopping by and taking the time to leave comments. 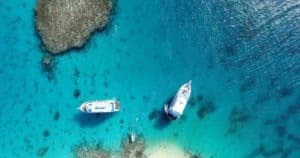 Hello there Leahrae, great post on Marsa Alam; I never knew that there were these many options here for scuba diving and snorkeling along with those ancient temples! The ones that caught my eye were the Hamata Islands, especially with our description and picture of the nice coral reefs and that catamaran over the water! Thanks. Glad you enjoyed Evan! Marsa Alam Egypt is definitely a wonderful beach destination with so much more to offer! Thanks for reading. Yes, I agree…..very beautiful 🙂 Thanks for stopping by! I had never heard of Marsa Alam. It sounds like a beautiful place. I definitely would need 2 weeks to see everything that I want to check out! Definitely two weeks for Marsa Alam for sure. So much to see and do, yet also to just relax and take in the sun and sand. Thanks for stopping by! You are so welcome Brandon. Thanks for visiting beach travel destinations and come back for more wonderful locations! I love this! So much helpful information, always thought about going to egypt but never liked the unknown, this has definately helped with choosing a destination as your information looks solid, look forward to browsing more and finding that perfect place! Glad you enjoyed reading about Marsa Alam Egypt. Wonderful beach destination and so much more. Please let me know if you have any questions. I’ll bet not too many people have heard of Marsa Alam, Egypt in our hemisphere. The beaches look very nice. Very similar to some of our Caribbean island beaches. Lots of things to do here. I really enjoyed the video. Is it safe for americans to travel there? I hope so. Yes Mick, very safe to travel to Marsa Alam Egypt. No, not too many have heard of this wonderful beach destination. 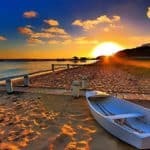 But, it is a wonderful place with beaches that are listed as the top beaches in the world. Paradise really! Thanks for stopping by and visiting Marsa Alam Egypt. Great information. I have always wondered about other tropical resort places out side of the Caribbean. This article really opened my eyes to Egypt. Bookmarking this and subscribing. Great Markeysha! There are really so many wonderful tropical paradises all over the world. I am glad you subscribed. You will learn about many of them thru my blog. Thanks for visiting beach travel destinations. I actually think of getting there with a bus. However I want to eat kebab there without breaking the bank. I know Hilton has it but I guess it would be really expensive there. Do you think Al Sultan Restaurant has a good variety of kebabs? The Hilton is a GREAT hotel choice, and it is not going to break the bank for you. Some of the other Marsa Alam Egypt hotel choices I listed are a bit more expensive than the Hilton. I am not sure the extent of the kebab variety at the Al Sultan. I know that they do have them, and the food is wonderful. I don’t think you will be disappointed. Oh my goodness. Egypt! This place is amazing. I always pictured Egypt as one big dessert land. I had no idea how beautiful it is – especially the sea with its coral reefs. I bet the water is so clear, you can see far down into the water. I also thought that the temperature in Egypt is incredibly hot all year around, but I’m glad that’s not the case. More importantly, the weather is dry, not humid, like here in NYC. There’s so much rich history in Egypt. It would be magical to visit. 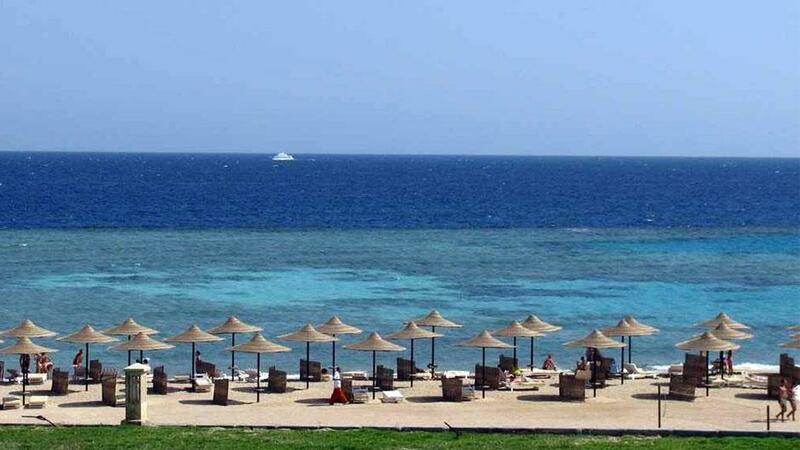 I’d love to stay at the Hilton Marsa Alam Nubian Resort in order to have a view of the Red Sea! I love the way you write about these travel destinations. You bring these places to life! I am glad you enjoy reading my travel posts 🙂 Egypt really is a perfect destination, and you will truly enjoy it here. 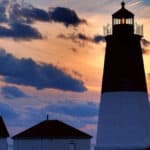 There is so much to see and do, that anybody, even the beach bum, will be happy visiting. Thanks for stopping by beach travel destinations. Thanks for this very comprehensive view of Marsa Alam. When I think of Egypt, I think of deserts and pyramids. You have opened my eyes to a whole new world! Thank you! Good Karin! There is certainly a lot more to Egypt than the desert and pyramids. Although, I am fascinated by it all and to be able to see the desert, the pyramids, the history, and beautiful beaches….well that is a perfect vacation to me! Thanks for stopping by! To tell you the truth, I am impressed! Egypt is way much beautiful than I imagined. It’s a dream destination:) I have close family in Isreal, and in September we are invited to do Roch Achana with them. It’s the new year in Isreal:) I will definitely go for a week in Egypt after the holiday ( Roch Achana). Just a question if you don’t mind. What currency is used in Egypt? What a wonderful vacation you are going to have visiting Israel and Greece. I consider that a dream to be able to do two wonderful destinations in one trip. Here you will be using the Egyptian pound for currency. Thanks for visiting Marsa Alam Egypt Daniella. What a beautiful country. I love beaches, and I’d love to visit Egypt’s. Through your article, I have so many ideas and I see there are more options than I imagined. Thanks for this useful information! Thank you Andrew for visiting beach travel destinations and learning about the wonderful beach destination Marsa Alam Egypt. 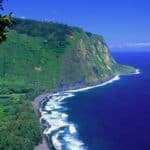 They have some of the best beaches in the world, and the best part is that you can visit and find your spot without feeling all of the crowds that other beach travel locations tend to have. WOW! Really great job with all the information about this destination! I’ve never been to Egypt but if I’m able to go one day, I will definitely be checking out this destination! Which of the hotels that you listed do you think would be the best to stay at? I mean price wise.. I have to tell you that the hotels in Marsa Alam are really actually quite reasonable and I would go with the Hilton as my pick for a good price and a great hotel. It is a wonderful beach destination in Greece that is absolutely beautiful. Please let me know if you have any more questions. Marsa Alam Egypt sounds like a beautiful location to relax and unwind. I have dreamt about going to a place and discovering a mummy but mostly in my dreams. Something about a tradition which involves a sarcophagus and mummification is quite fascinating although I doubt I would find enough time to enjoy each of the beaches. I think with Marsa Alam, a good two weeks would be the amount of time needed to see everything if you are a history buff, and to also enjoy being outside and going to the beautiful beaches. I think finding a mummy, or even seeing one would be pretty cool! Thanks for visiting Marsa Alam Egypt.